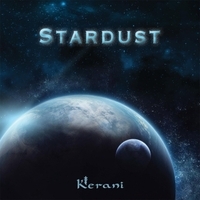 Stardust is Kerani’s 5th concept album, which was released in May 2017. This recording is a 10-track space-themed project. It was recorded with a symphonic orchestra, a mixed choir and 10 solo musicians. In total, a jaw dropping 60 musicians participated in this work of art. Inspired by classical musicians, which many of the new age artists are, Kerani’s music would be the perfect music to have playing while in an observatory. I went to an observatory laser show back in the 80s and have not been since so I can only imagine how wonderful it is now. The mystery and vastness of space are captured in this atmospheric soundtrack. The layers of keyboards and the orchestra are reminiscent of Vangelis, Yanni and Tangerine Dream (one of my favorites). That kind of familiarity and recognition provides a welcome mat for listeners to really dive in and absorb all the sounds more readily (assuming you are familiar with those artists). It breaks the ice if you will. I simply enjoy this kind of music and do not need any kind of comfort zone as I already found it many years ago. That kind of thought process and feeling certainly allows a certain vibe that creates some anticipation. Artwork is another emotional mover and the CD cover is the doorway to where the music intends to take you. The leaps and bounds of science and technology are fascinating. This is another aspect that got Kerani’s attention and provided inspiration. Stardust is a relaxing journey into the realm of the unknown however where you end up is inside your own head and then you begin to follow your heart and soul. The result is a deep feeling of satisfaction and certainty that you can trust this process any time you wish. It is a beautiful thing. Music is the universal language of healing and once again it is validated by this ambitious and fantastic project.